POC Management can solve all of your asset tracking needs, from high value equipment and special packages to bespoke investigation support, with our bespoke tracking panel. We are able to offer a truly cost-effective solution which can be tailored to your individual requirements, from seeing the live data feed from the devices through to being able to control the functionality for yourself. 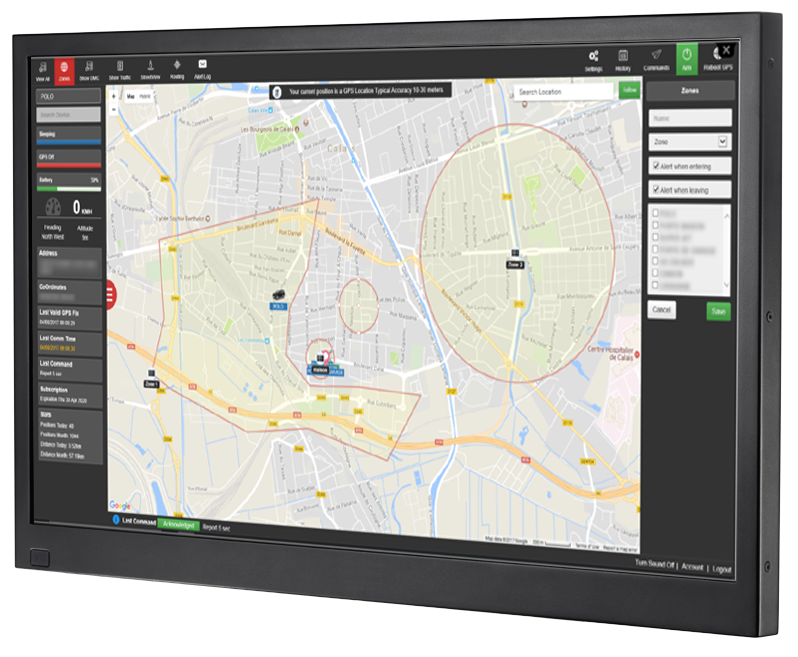 The POC Tracking Panel allows you to monitor the movement of all your trackers or select individual trackers to follow, either on your computer or via an app on your smartphone. The software puts you in control of all you could ever need, with simple to use functions. You can view the location on standard map view, satellite view, and even a combined street view making it ideal for relaying directions to Surveillance Operatives. The tracking speed and direction is clearly shown on the panel, as well as a local postcode, latitude and longitude. Historic movements can be retrieved and exported to a spreadsheet or PDF allowing you to see where your asset has been, as well as real-time movements shown live on the tracking panel which can be updated at bespoke intervals - from every 5 seconds to once every 60 minutes, depending on your needs. The units can also be put into sleep mode, which will only activate when they move, drastically increasing the battery life.